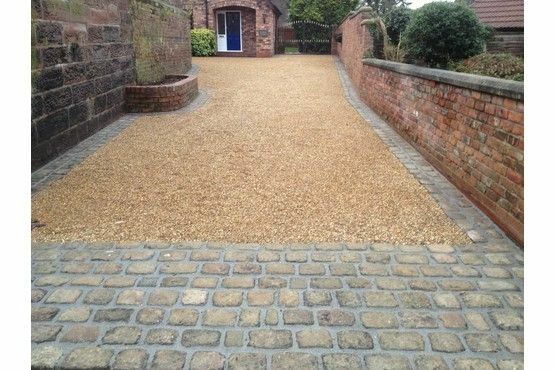 I personally love the appearance of gravel on a driveway, it looks simple but traditional. 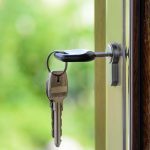 I also like that fact that you can hear the footsteps of anyone walking on it – I genuinely believe that thieves want to stay quiet when breaking into houses, not alerting homeowners and neighbours to their presence with noisy footsteps. 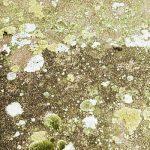 Unfortunately, I’m put off choosing this material as I know it’s difficult to clean, it gets walked into the house and often spreads onto the road, so it does require more maintenance than I would like. I guess you could say I have a love-hate relationship with gravel. Are you thinking about laying a gravel driveway and want to know how much it costs to have this work professionally completed? 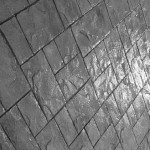 On this page, we provide you with a realistic costing for the materials, the labour and even the profit margins a driveway installer would charge. We are tradespeople ourselves and have many years experience within the construction industry. In recent years we have also renovated several properties in the UK, so we know how much various projects such as driveways cost. 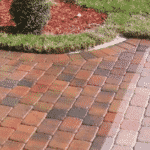 Block Paving – This is one of the more costly materials but is very popular in the UK. See how much block paving typically costs here. Pattern Concrete – A concrete slab but with a patterned and coloured surface, this is cheaper than block paving and similar in price to tarmac. Tarmac – Black is the most popular colour but red is an option. Tarmac can also be laid around other materials such as blocks, to create a unique pattern. Tarmac is quick to lay and if done so correctly can last for decades but how much does it cost? The page you are currently reading is all about gravel/stone driveways and how much they cost. We are conducting research and while the following question is optional, we would love your feedback. What’s Included in the Price Below? The three examples below are for 40 and 100 square metre driveways. We have made some assumptions when calculating these costs, so keep reading to see if they apply to your driveway. Our price guide above makes several assumptions; the first is that the contractor is a medium-sized company that charges for labour then expects to make a profit as well. Most smaller firms have fewer overheads and many only expect to cover wages. You could save several hundred pounds by going with a smaller firm. Also, many smaller businesses operate below the VAT threshold, meaning they don’t need to charge the tax and thus you can make a further saving. More information about how you can legally avoid paying VAT can be found here. Don’t forget; our price includes a new base and that involves a lot of excavation work and waste disposal. 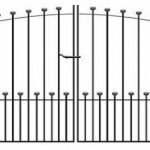 If your base is in good condition then you may not need to replace it, saving more money. Some people also recycle their excavated soil by re-using it in their garden, such as in raised flower bed, this cuts down on waste disposal costs which are very high. 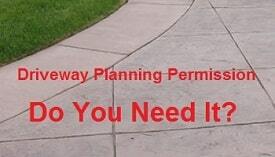 Have You Been Given Prices For a New Driveway? 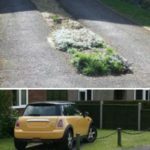 This is your opportunity to let other visitors to our site know how much you’ve been quoted for a new driveway. You can add your own prices by filling out this form (no email required). 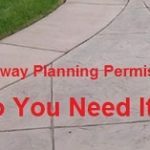 Yes, the prices above assume that the driveway doesn’t need any new edgings or entrance humps, these are used to prevent the gravel from migrating out of the driveway area, they will cost more and add extra time to the project. 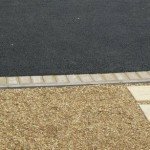 Gravel mats can also be used to keep the material in place, they are best used on driveways with a slight slope but do work very well. Also, there is no provision for additional drainage. To meet current regulations you may need to install water channels to prevent rainwater from spilling into the public highway. These channels usually divert rainwater into a soakaway, that would cost extra too. 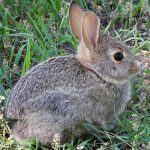 What is a Rough Price to Lay Onto an Existing Base? 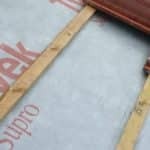 If you already have a sound base under your driveway then the top layer could be replaced with gravel, you just need to calculate the square metres and the required depth. 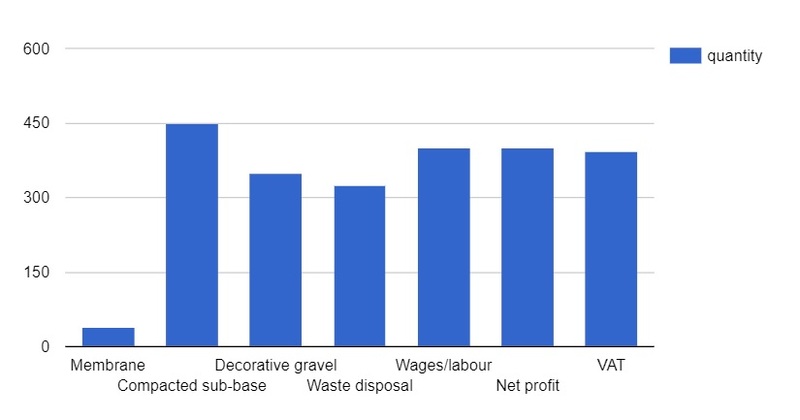 Don’t forget to add in the cost of removing and disposing of the existing material (most likely one large skip if you’re not digging out a base). Many aggregate suppliers offer calculators on their websites, similar to this one here. 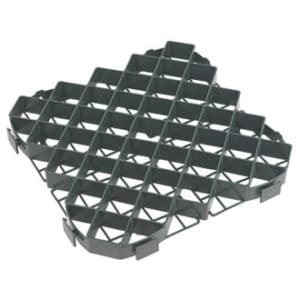 Can I Lay Gravel Without a Base? 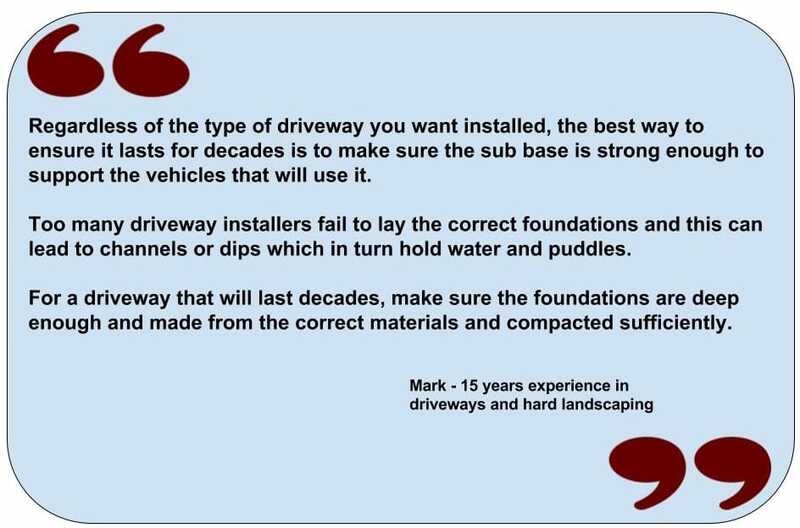 No, without a suitable base, the weight of the vehicles using the driveway will cause the ground to sink into the soil, large grooves will appear and hold water making the area boggy and susceptible to even more sinking. Also, laying gravel to a deeper level won’t compensate for not having a base as the gravel will be difficult to walk on. Gravel should only be laid without a base if it accepts foot traffic only, no vehicles. We love Pinterest as it’s such a great place to find ideas and suggestions. Below are a selection of images we sourced from Pinterest (see more here). We hope you found our research into gravel driveway prices helpful. We have done our best to break down the typical costs charged by companies and provide a realistic figure. Don’t forget that every business will charge a different price, it all depends on overheads, the quality of the materials and the level of workmanship. The next step is to get a fixed written quote for your driveway. It's reasonably cheap, especially if you can lay it over an existing base. There is a wide variety of choice and you can also mix-and-match different colours to form your own patterns. Also, because the gravel isn't binded to the base material, you can easily change the gravel and replace it with a different type or even an entirely new material such as tarmac or blocks. 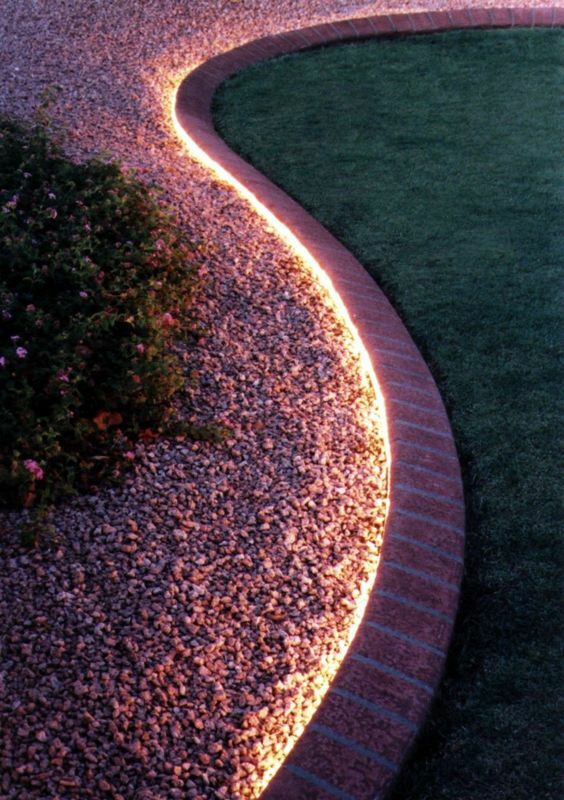 The gravel does tend to shift and often moves off the driveway, onto the road or pathway. Even with edgings and road humps, the material still relocates and needs to be swept back into the drive frequently. Oil and solvent spills can be easily cleared up, unlike on tarmac. How Long Does it Take to Install a 40 Square Metre Driveway? Gravel driveways are very quick to install. The removal of the existing driveway material, excavation to 180mm and installation of the sub base takes the most time. The actual spreading of the gravel doesn't take long at all. For a 40 square metre driveway, we allowed a time of 2 days maximum. In most cases, no. The primary consideration is drainage, you must ensure rainwater is diverted either into a lawn, flower bed or soakaway via a drainage solution. If this isn't possible and rainwater will flow onto the public highway or path, then planning permission will be required.